Planning for a First Birthday Party ~ Mommy Meowmeow! I'm thankful that I have friends who helped me tremendously with the preparations because back then my mind was truly, truly chaotic. I wouldn't be able to handle it by myself. My then-fiance A must have been scratching his head and tsk-tsk-tsking. There I was, a 20-something bride-wannabe who really wanted to get married but was adamant to do it on such short notice. Parang, "ano ba talaga, ate?" And I thank God in His infinite grace and wisdom for that test of character, of patience and for the blessings and direction He has given. O sige na nga side-kwento ng konti..I felt that it was a message from God when our officiant (Fr. Allen De Guzman) said something to the effect of, "Sometimes there are times in our life when we are called to do something. It may not be in the way we expect it to be. Or the way we want it to be. We may be scared. But we follow." Okay back to regular programming. Next to our daughter's baptism which we did on her 4th month, our task is to plan for her first birthday celebration. Of course as a stay at home / work at home (SAHM/WAHM) mom, I feel it is my duty to conceptualize, plan and prepare for this major milestone. And this I am doing diligently! 1. Plan well in advance. In short, do not cram! Then we looked for a venue. One that was near. Like, very very near! Hahaha!! Luckily we found one that's right about 10 minutes from our home! We like it because it's near, relatively cheap and looks neat, fresh and lovely! Even if we scrimp on 'styling' it would still look decent :) Thank God for Arch. A and my father-in-law who lovingly took the dimensions and made the floor plan for the caterer to use! While out of town trips and events are much fun, I can't imagine us having a first birthday celebration with a location outside Metro Manila. 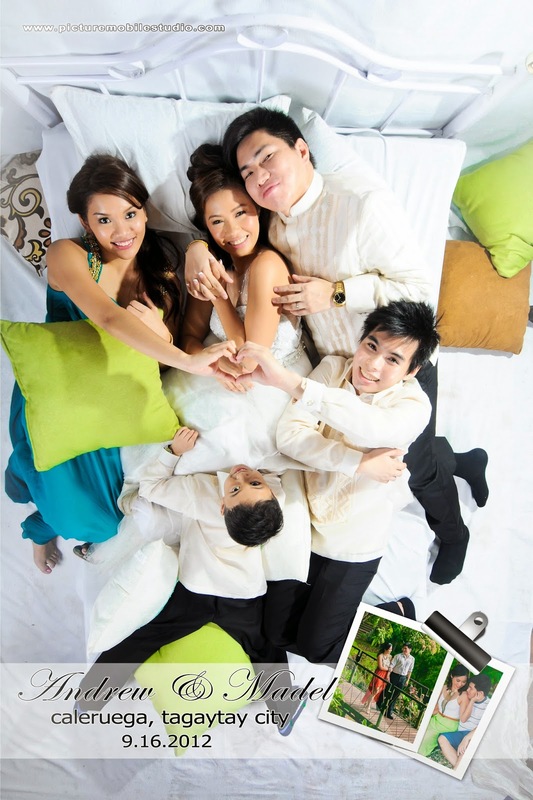 This is such a huge deviation from a wedding which we had in Caleruega (Nasugbu, Batangas). Not to mention, suppliers will charge anywhere from PHP 3,000 to upwards of PHP 10,000 for out of town fees. That's huge savings my dears! Now at almost 2 months to go before our event, I can be more relaxed as I'm just doing "detailing" and planning for the small stuff. I'm also truly happy to have booked my suppliers of choice :) They have positive ratings and I'm sure that should there be glitches (as they are unavoidable), it would only be minor ones and will not cause me stress and heartaches. As my college professor (Sir Harvey Ong) used to say, "Cramming is bad for your health!" 2. Set and agree on a BUDGET, choose suppliers based on VALUE and choose your party planning CONFIDANTES. For most folks, even some dads would nod in agreement, it's just a big G-A-S-T-O-S. Really! And I do agree that expenses could easily go out of hand with all the new things cropping up for parties! That's why early on, we have set a budget. Yes we do have our "dream suppliers" but we always always look at the big picture and do our best to balance our wants (i.e., the party look and feel we are going for) and our budget. Being the chief party planner for this event, I always look for at least 3 viable suppliers and canvass their offering. All options are then 'presented' to my husband for his final approval :) Despite our goal of sticking to the budget, we don't always go for the cheapest price. Instead, we look for VALUE, primarily. In the end, we do get what we pay for. Another thing I realized is this - mommies, let's accept that not everyone will share in our excitement of planning for a first birthday party. Sometimes it's just us and maybe a couple of close friends. And that's okay. Much as this day is extremely important for us, in the light of eternity, this is just but a tiny dot. At first this can be disheartening. I mean, "Why aren't they excited??!" But then you know, people are busy, they also have other things to attend to. Let's just concentrate on planning and preparing well and understand where they are coming from. As for me, I'm happy that my hubby is mildly excited (hehe) and that I have 3 girl friends who are helping me out by listening to my crazy weird ideas and bringing me back to reality! Two practical tips I'd like to share is (1) to have hard copies (printed) contracts or MOA's and always attach receipts for any payments made. Especially if you intend to hand-over to a trusted friend/relative/coordinator on the day of the event. This way, you won't be stressed during the party trying to remember all the little details. It will also be easier to set and meet expectations should there be any issue. And (2) please also be upfront with suppliers when they ask for your budget. We will be helping them work more efficiently this way, rather than pushing for something that we cannot afford, and being frustrated in the end. Another GOLDEN NUGGET I wish to share is this, our husband should be our partner. Let us be honest with them and not hide expenses they would just find about on the event itself and be powerless over. They should be our accountability partners as well. If planning for our child's party is making us do things that are contrary to our values, I hope we are able to pray for the humility to submit ourselves to God's guidance and our hubby's authority too. Yan ang downside to researching: finding nice, pretty and (gulp!) costly things. This is another challenge for us moms to prove our mettle as savvy savers extraordinaire. Can we discern what we truly need and in turn say no to these pretty yet unnecessary things? Without my hubby's 'supervision' (ahem! ), I might have been too far gone flunking in this department! To help us stick to our budget, we also streamlined our essentials and non-essentials. Right now in our planning stage, there are two main items we might not include in our party .... the dessert or candy buffet and the photo booth. Savings for avoiding both could be PHP 15,000 - 30,000! Yeah, that much..again, depending on the supplier chosen. Don't get me wrong ha, these are definitely nice to have at any party but for us personally, they are relegated to "let's think it over" as we try our best to allocate our budget efficiently. They are pretty, they are yummy..so why not? If we are holding it for 50 pax or less, I might reconsider. But since I'm expecting our guest list would go over a hundred, we are most likely passing up on this because (a) it's hard to manage a candy buffet station in such a way that majority of guests will be able to try it and (b) since it isn't usually manned, there is the risk of contamination especially when there are little kiddos (and okay, some grown-ups) who simply refuse to use serving spoons. Because we've chosen a 'period theme', I feel it's just apt to reflect it also on our attire. I'm okay with having coordinated outfits with my baby and my hubby. But my hubby thinks this is already superfluous. What do you think? Hubby says that we already have a photographer to capture the moment. And ito ang nakakaloka, according to him: "Mommy, a picture is already worth a thousand words. Tapos may video pa? Baka mahilo na si baby niyan sa dami ng words!" Anu daw??? Hahahaha..But I'm still convincing him that since Z is still too young to appreciate the party, a video is a nice token for her to look back to from time to time. Do you agree? Maybe I'm just a late bloomer but something about being a mom (or a parent, in general) gives one a double-edged vulnerability and the strength to perform new capabilities. I'm actually enjoying this experience, it isn't all too hard pala. Well, save for curbing my appetite for all things pretty...really have to stick with that dang budget! On the other hand, I'm also relishing this responsibility...for crafting an experience for our family and friends. Looking for superb suppliers and communicating our vision. Trying out different things while still considering tradition. Yes, there are many uncertainties, insecurities and fears that party planning can bring. That's why we always turn to the Almighty Father to continue to guide and bless us. As they say, "pray for the best but still prepare for the worst." I'm so blessed to have chanced upon Ms. Joy Mendoza's blog on how she was also struggling and praying about her daughter's first birthday and how the Lord continued to bless them despite their initial challenges (read about it here). It definitely confirmed what I've been sensing all along and I especially appreciate the part where she advises for us wives to be obedient to our husband. It's easy to be a brat about getting what one wants but is it worth it to jeopardize your relationship (and bank account) just for a single day of festivity? In our planning, there are already a few glitches we have encountered. I have accepted also that no party will ever be totally stress-free. Hence we are also preparing for contingencies. This early, I'm already foreseeing a possible "disturbance" to our plans and hence I'm praying for God's best. I don't know about you but sometimes I experience myopic vision. This is where my mind just zooms to my "creative pegs" and I'm hopelessly floating and expecting that it will come to be. Reality is that there will always be deviations, adjustments and flex points. And we do have to be flexible. So this is always part of my prayers. That we be guided on planning for a party that we can reasonably afford, that we will be enlightened with our intentions (you know at the back of our minds, it's always nice to be featured in certain party blogs but that shouldn't be the reason we are having a party in the first place), that the Lord will lead us to the right suppliers and that He continues to guide and protect our suppliers and loved ones.